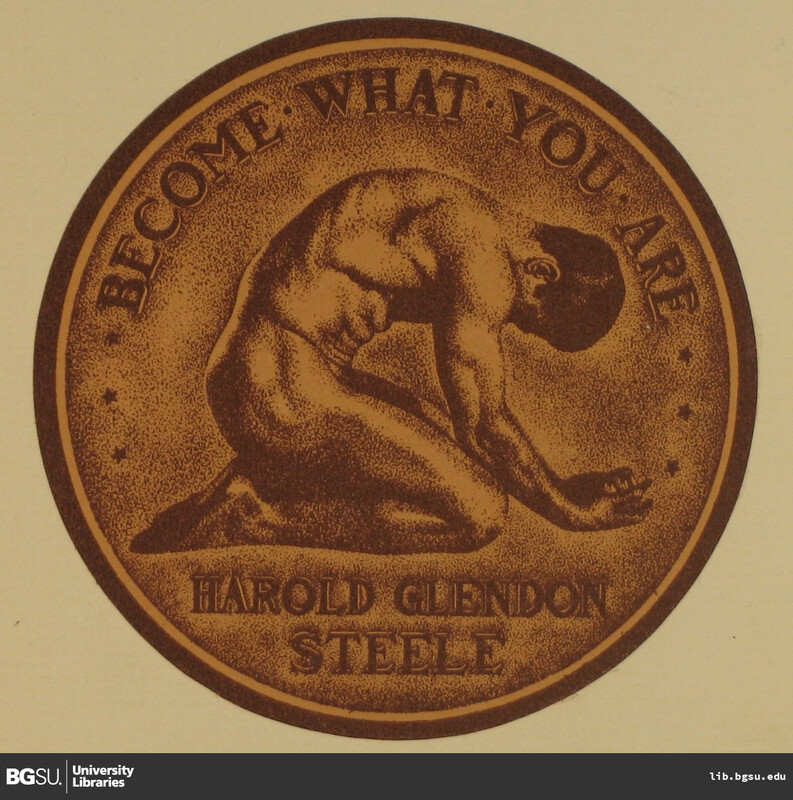 “Harold Glendon Steele Bookplate.” Digital Gallery. BGSU University Libraries, 4 Aug. 2015, digitalgallery.bgsu.edu/collections/item/14411. Accessed 24 Apr. 2019. 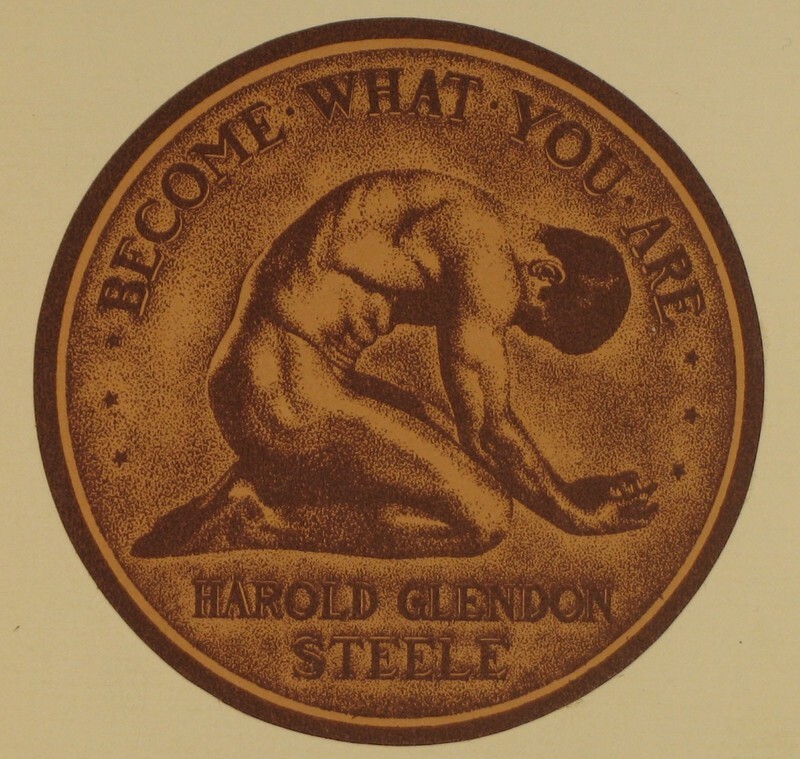 Example of a Harold Glendon Steele bookplate. Gold coloring image of a naked man kneeling. Above the man is the motto: become what you are. Bookplate can be found in Poor Richard's Almanack by Benjamin Franklin. Poor Richard's Almanack: being the choicest morsels of wit and wisdom, written during the years of the Almanack's publication, by that well-know savant, Dr. Benjamin Franklin of Philadelphia.